The RC8B3 / RC8T3 HD Steering Rack is made to prevent the easy bending of the stock steering rack by making it out of the strong 7075-T6 aluminum, removing the relief pockets, and taking out the unnecessary kinks. 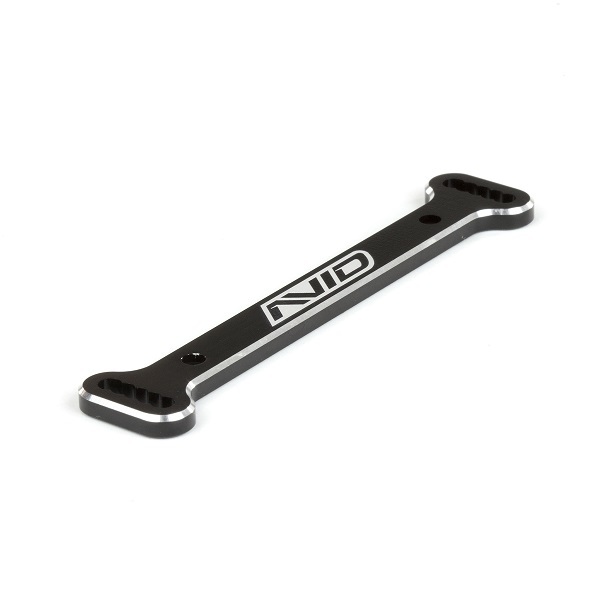 7075-T6 Aluminum, black anodized, silver chamfer, and the Avid logo laser etched. Strengthens the steering rack to ensure you don't bend a rack in a main. Fits all the vehicles in the RC8B3 / RC8T3 line.